This golf tip is going to help you hole more putts, but if you apply what I’m saying you’ll make every putt you attempt. Let me explain the subtle difference of what I’m talking with a famous story about Jack Nicklaus. Jack Nicklaus was a great putter. There’s no doubt about that. But he missed putts like everyone does. However, in his mind he believed he was a great putter and didn’t miss putts… especially in the heat of battle. Jack looked at the man and repeated that he had never missed from inside of three feet on the last hole of a tournament. “But Mr Nicklaus”, the man insisted, “I saw it, I have it on film, I can send it to you if you like”. Is Jack Nicklaus a liar? Well, we all lie but what I think Jack was referring to was that he made the putt, it just didn’t go in. And that happens all the time when we putt. We can hit a putt exactly as we want but the ball doesn’t go in. But to hole more putts you actually need to use that “I did everything I could” mentality… and here’s how. … if you judge your putting success on whether the ball goes in the hole or not you will become too results orientated, and that will affect your results long term. 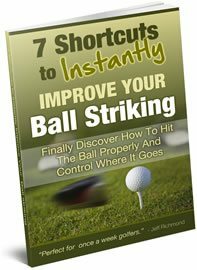 As far as what you need to focus on to make every putt you need to look at the basics of putting. Which are…. Starting the ball on the line you’ve chosen and with the pace you’ve chosen. Then of course there’s green reading. So there’s 3 main parts to putting. Let’s put this into action on an 8 foot putt. First you’re going to look at the green and try to judge the way the putt is going to break. Let’s say in this case it’s a right to left putt. How much it breaks is going to be determined by the pace you hit the putt with. For this example, let’s say you choose to hit the putt so that if it misses the ball will go about a foot past the hole. And to do that you need to aim at the right lip. That’s your thinking anyway. So to make the putt you need to start the ball on a line that’s going directly at the right lip of the hole with the pace you want. When you putt like this there’s going to be a couple of things that will happen. 1. You will start the ball on the line you want, or you won’t. 2. You will hit the putt with the pace you want, or you won’t. For this example, imagine starting the ball on the right lip line and hitting the putt with the correct pace and as the ball is rolling towards the hole it hits an old pitch mark that you didn’t notice and knocks it just to the right so that the ball lips out on the right hand side. You hit the putt just how you wanted but it missed. Not your fault, greens aren’t perfect. According to the criteria of making a putt, e.g. starting the ball on the line you wanted with the pace you wanted, then you made the putt. That’s the philosophy you need when you’re putting to hole more putts. Again, it’s counterintuitive but it works. Every putt you face I want you to focus on doing everything you can control and let the outcome take care of itself. Forget about the hole, just let it get in the way of your ball. If you’re lucky enough to play golf this weekend, try that. Focus on making every putt NOT on holing every putt. You will never hole every putt, BUT you can make every putt. 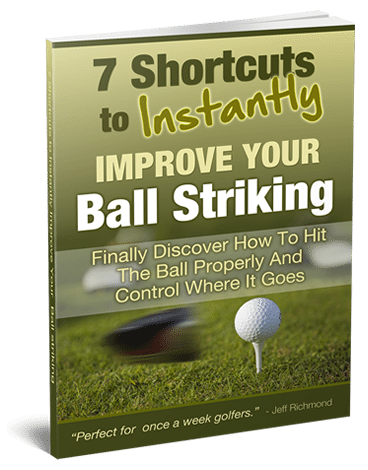 I know that will help you hole more putts without trying to. So have fun doing that!